We drove out of the mountains of the North Cascades back into the rolling plains. Someone told us that the town of Winthrop was a cute little cowboy town so we planned 2 nights here. Just before we arrived, we were already talking about leaving a day early as the trees were sparse and just brown everywhere. That is, until we actually got to the town. It’s a small little downtown with wooden boardwalks in front of the old wooden shops. 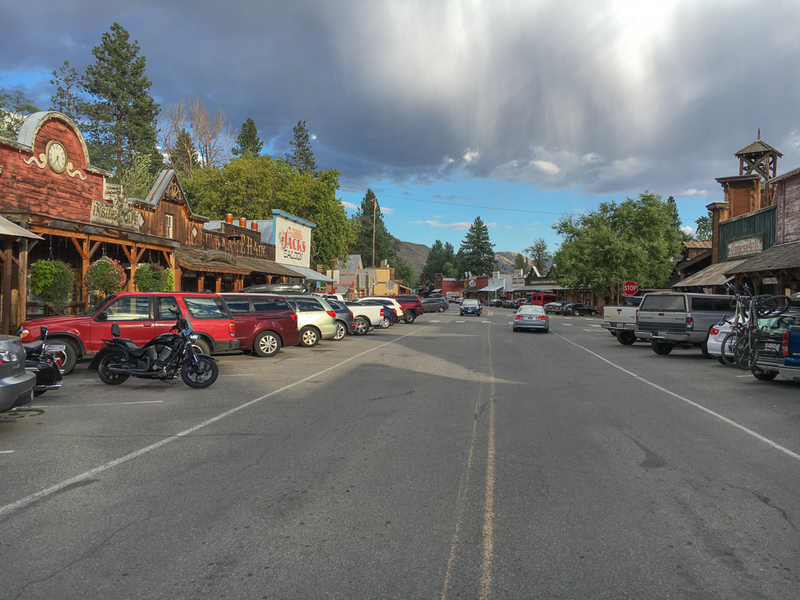 The town was first built in 1896 and though it’s been restored, it has an old west feel. We walked into almost every shop and just enjoyed this place very much. Mark allowed me to indulge at the Lost River Winery, which I really enjoyed, and also the local cider house, Methow Valley Ciderhouse. Our campground sits right on Pearrygin Lake. Since we arrived on a Saturday, the campground was very full with people in swimsuits and boats and kids everywhere. Our evening walk with Molly ended right at the dock where we sat on a bench and just watched the lake activities wind down for the day. I wouldn’t go out of my way to see Winthrop, but if you’re ever passing through, this is sure a great place for a brief diversion. I hope there is a next time for us in WA as this has been my favorite RV trip ever.